The Chilojo Club is our flagship community engagement project. It is a joint initiative by the Gonarezhou Conservation Trust, the African Wildlife Conservation Fund, and the WILD Programme. 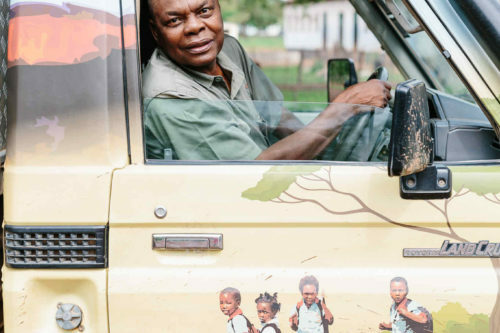 It embraces a growing number of initiatives that include conservation education, mitigation of human-wildlife conflict and general outreach in the communities that live alongside Gonarezhou National Park. 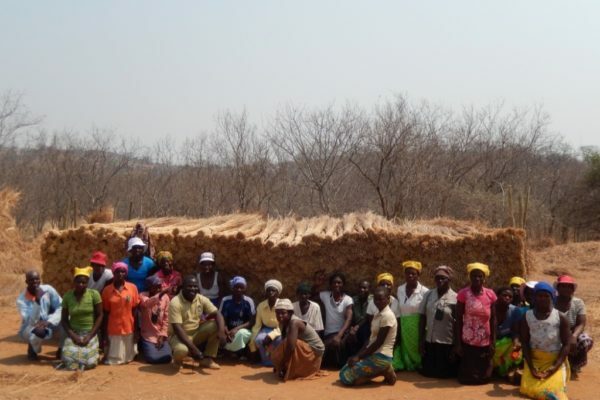 Engage positively with communities around Gonarezhou on issues of human-wildlife conflict (HWC), and to facilitate sustainable mitigation measures. Continue and expand schools-based conservation education to instil deeper understanding of, and appreciation for, wildlife and the environment in the local youth. Investigate additional opportunities and to partner with other stakeholders at local and trans-boundary level to further the objectives of the Great Limopo Transfrontier Conservation Area. Promote connectivity and partnerships between Gonarezhou and neighbouring communities and wildlife areas. 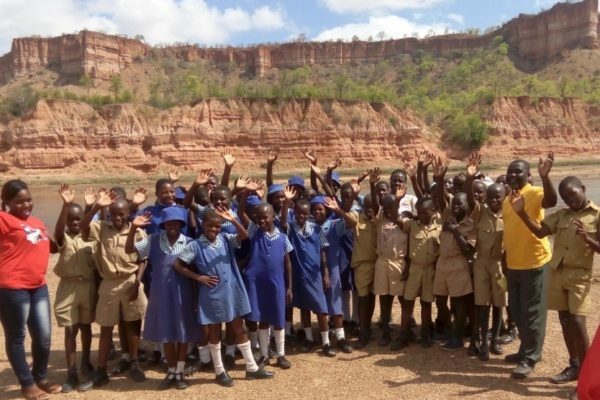 Our Chilojo Club education programme targets children in 44 primary schools and 17 secondary schools within a 15 km radius of Gonarezhou National Park. It sensitises children to wildlife issues and contributes to literacy and basic education. 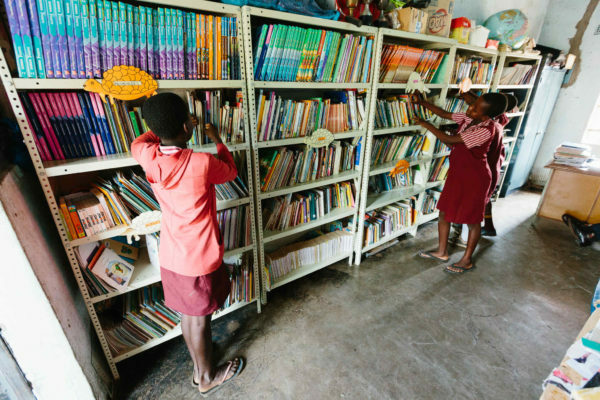 We help to address basic literacy by developing school libraries and tracking improvements in reading skills. We encourage an interest and appreciation of the surrounding wilderness areas through school workshops, local fairs and sponsorship of school trips to the Park. All of our school projects are closely monitored to track the usefulness of our interventions and to ensure resources are well used and well maintained. Our primary school curriculum targets Grade 6 children and aims to cultivate an interest in nature conservation. 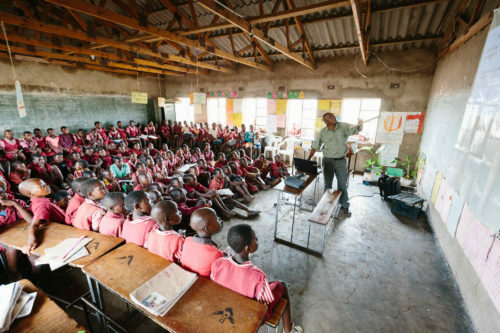 The Club delivers 3 conservation lessons per year (1 per term) at each of the schools. These lessons cover natural resources; living with dangerous animals; food chains and food webs. Our educators work closely with school heads and teachers, ensuring that the content and materials add value to the school curriculum. To date we have distributed a variety of resources to all of the schools in our program, including; Wild Card files, carnivore posters, Lowveld ABC sets, carnivore fact books, wild dog board games, as well as literacy books and book donations for establishing libraries. 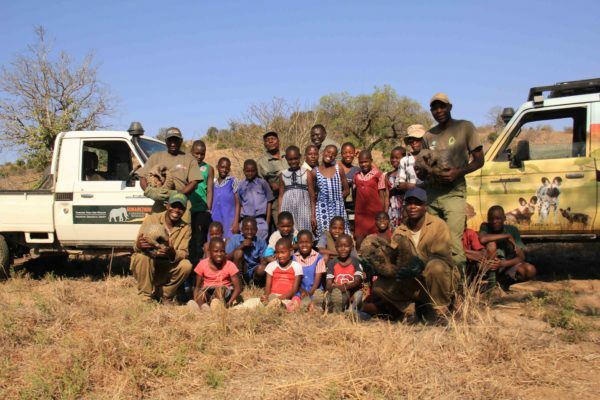 Since 2016 we have been bringing children from the surrounding areas into the Park to experience its wildlife and habitats, and to learn about it’s specific conservation issues first-hand. These trips have been incredibly well received, with many of the children, despite growing up right on the Park boundary, never having had the opportunity to view an elephant or lion in real life, or to be exposed to the issues surrounding biodiversity conservation. The Chilojo Club scholarship program is a relatively new addition to our conservation education program. The scholarships is an investment in young people in adjacent communities that show potential to be leaders and ambassadors for conservation in their communities. Currently 3 children are in our scholarship program. 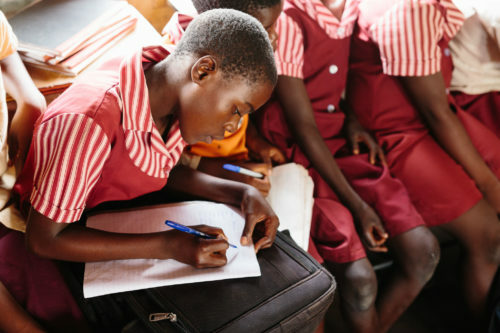 The scholarships are awarded to secondary school children on a merits and need basis, and currently covers all school-related expenditure, including accommodation, as their homesteads are in most instances far distant from the closest secondary school. Without the scholarship it is doubtful whether any of these children would have had the opportunity to further their education. School libraries at 42 schools surrounding the Park have been stocked with books and solar reading lamps to aid study and reading programmes. This project is receiving incredible support from the Zambezi School Book Project. Library management courses are held at the schools to help staff manage their libraries effectively. 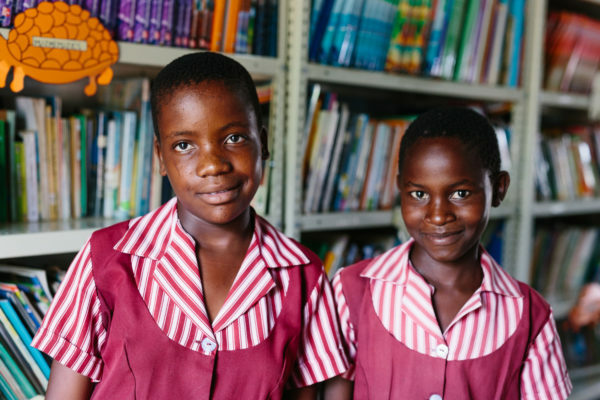 Literacy programmes are supported through the donation of Happy Reader Literacy Scheme – to date 13 schools are benefiting through this project. 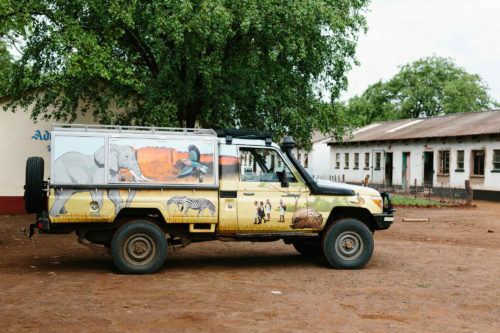 Gonarezhou National Park is largely unfenced and, with communities living directly adjacent to the Park in many areas, conflict between humans and animals are inevitable, often leading to severe impacts on livelihoods and direct threat to human lives. This often means that the wildlife involved end up being targeted as ‘problem animals’, and it is a no-win situation for all involved. The Chilojo Club has established a team of HWC mitigation officers to provide awareness and incident reaction and reporting around GNP. The objectives of this team are to respond and to provide concrete recommendations to 100% of reported cases within 24 hours. We are making progress towards this goal, with a team of 5 trained monitors embedded in the surrounding communities striving to make a difference. A positive relationship between the Gonarezhou and it’s neighbours is vital for all aspects of the Park’s conservation. The Trust employs a full-time community liaison officer to interact with communities and stakeholders on many different fronts. Keeping a line of communication open is vital to promote understanding, dialogue and finding a common vision. 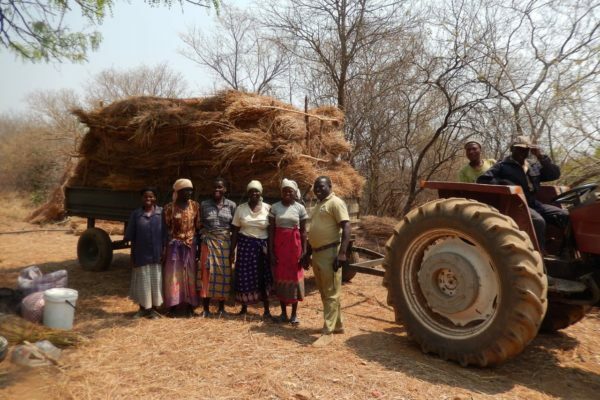 Poverty and food insecurity is a challenge for a large section of the communities surrounding Gonarezhou National Park, and life is even harder for vulnerable groups such as widows and single mothers. 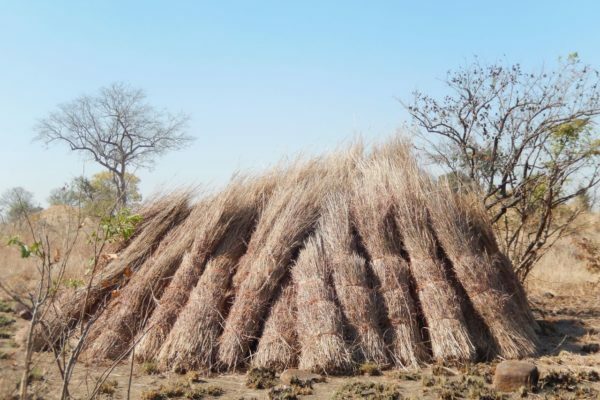 Since 2012 a programme of supervised grass harvesting by community members have been run in the northwestern sector of the Park. A special feature of the programme has been the formation of the ‘Tiyeselani Woman’s Group’ – a group made up of 25 disadvantaged woman from the Chitsa community. 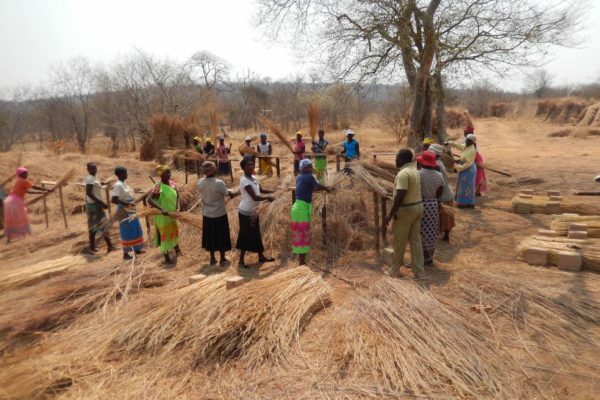 By processing grass cut by themselves, as well as grass donated by the Project, they have been able to sell the finished product to tour operators and contractors in the district for a cash income.